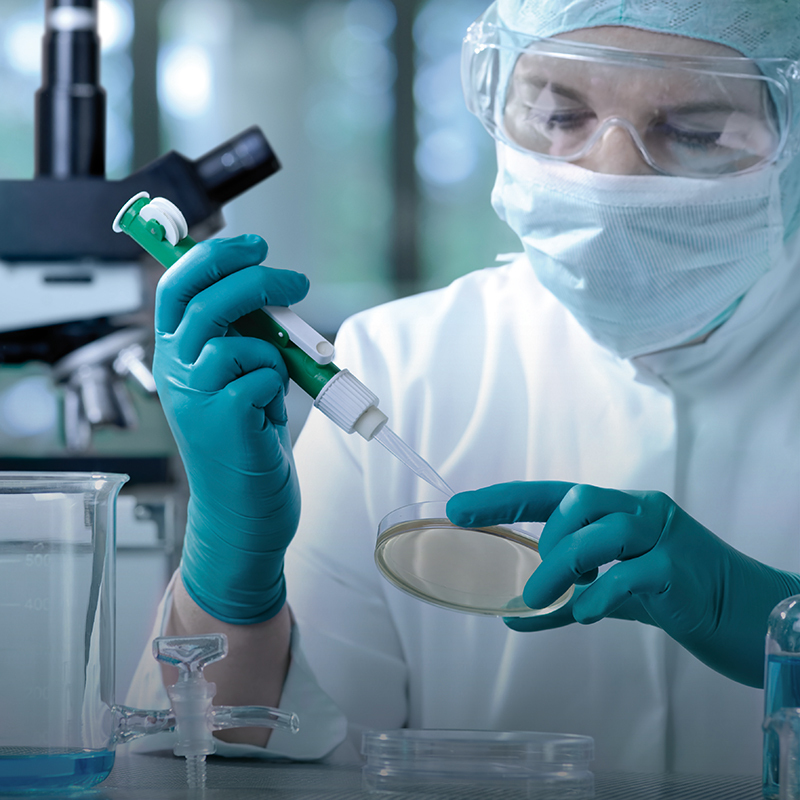 METLAB supports companies working in the Biotech industry by performing calibration, verification of performance, functionality and electrical safety of medical and laboratory equipment, with reference to ISO/IEC 17025, the Group's CEI EN 60601 and CEI EN 62353 technical standards. The AED is a semiautomatic defibrillator that can analyse a person's heart rhythm autonomously and recognise the need to deliver or not an electric shock. Requiring minimal intervention by the operator, semi-automatic defibrillators may also be used by non-medical personnel and are the most common type of cardiac defibrillators in non-hospital settings. The AEDs in general have peculiar safety and reliability problems, not only because they expose the operator to a greater degree of risk of electrocution, compared with other medical devices, but also because they have to remain efficient in spite of long periods of non-use. Thanks to the use of specific verification equipment and to the attention paid in training and continuous updating of its technical staff, METLAB offers support to those that are responsible for the management of semiautomatic defibrillators, both for the choice of such devices, and for their subsequent verification and periodic maintenance. METLAB is distributor of AED PHYSIO CONTROL defibrillators for the workplaces & community sector and, in respect of the same, it offers maintenance and periodic inspections. Oxygen is an indispensable and irreplaceable element for the survival of every living being. For the human being as little as 2-3 minutes without oxygen can create serious problems or can sometimes be fatal. In case of need and/or emergency O2 PACK portable generator, with very simple activation mode allows oxygen supply for a sufficient period of time up to the arrival of relief, supporting vital respiratory functions and avoiding further damages for the injured caused by respiratory failure. Thanks to a chemical reaction, O2 PACK generates an oxygen flow of approximately 3 litres per minute for at least 15 minutes with a purity of over 99.5%. Vibrations, shock, falls, crushing of the capsule do not cause explosions or potentially dangerous situations and operation is guaranteed for a long time (4 years). METLAB is the exclusive countrywide distributor of the O2 PACK. European and national regulations on medical devices require the existence of a maintenance plan and periodic checks of medical appliances, which takes account of the risk, the criticality and the function of each individual unit. METLAB offers support to clinics, hospitals and doctors' offices in the planning and management of periodic checks of their devices. Thanks to the availability of sophisticated equipment, reference samples and competent technicians, the Laboratory is able to deliver electrical safety, functional tests and essential requirements services of different types of medical equipment such as electrocardiographs, manual defibrillators with monitors, multi-parameter monitoring equipment, sphygmomanometers, spirometers and audiometers. Thanks to the support of the VITAE BIOTECH NETWORK, the Laboratory offers periodical validation services of steam pressure sterilisers, verification of maintenance of essential requirements of the climate chambers, coolers, freezers and incubators dedicated to the preservation of medicinal and biological samples. METLAB offers measuring equipment management services and the related calibration for companies and research and development laboratories in the pharmaceutical field, ensuring the traceability of the test results to the International System of measuring units (SI). Services include the management of records of equipment, of bill-books, of the definition of control periodicity and calibration of scales, thermo-hygrometers and pressure transducers. METLAB offers essential performance testing service of autoclaves and controlled environments, such as environmental chambers, freezers, coolers or medication and other samples storage areas. Activities are carried out according to the methods indicated by the guidelines and technical rules of national and international reference for each type of environment and according to technical guidelines developed in accordance with the requirements of UNI CEI EN ISO/IEC 17025 standard. Thanks to the support of the VITAE BIOTECH NETWORK, the Laboratory offers support for the EC marking of prototypes and machinery for the expansion of production processes and to develop matching measurement processes. Request for information and contacts. Fill in every part and send the form on the right to receive further information. and select "I authorize" in the appropriate form field. protection: EU Regulation 2016/679 – GDPR.